Have you ever wasted your precious time managing various IT needs instead of taking care of day to day business operations? 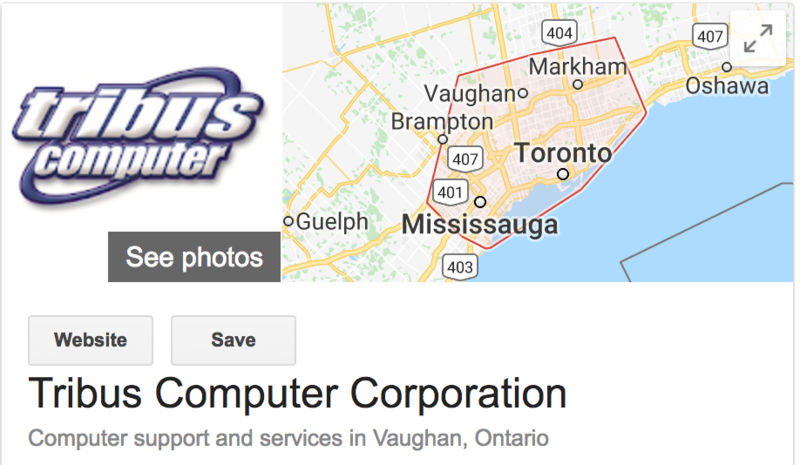 If you are a small business owner looking for managed IT service in Toronto, Tribus Computers can help save you time and energy. Contact Tribus Computers today for your managed IT service needs. Technology is changing at an extremely fast pace these days, and chances are you find yourself focusing more on your office’s computer and networks needs as opposed to those of your clients. Do you ever wonder what “doing it yourself” with your IT services actually costs you? Wouldn’t you like to just pick up the phone when there’s a problem and ask someone local to resolve it? Tribus Computers has an established network of computer technicians available to assist and support you with all your computer needs. From design, to purchase, to installation support, and even cloud services and secure network needs, Tribus Computer offers managed IT service in Toronto and surrounding cities. In short, Tribus can help save you time and money – both of which are always at a premium in the fastest-growing market for tech jobs in North America. Read on for a look at what Tribus offers to see the benefits of going local with managed IT service, and call them today in order to start saving both time and money. Toronto is a beautiful city where exceptional managed IT service is at a premium. A good local managed IT service provider will make every effort to see that you can rely on your computer systems on a daily basis. They’ll pride themselves on offering state of the art desktops, laptops, and servers, and also be able to build their own custom configured systems, using a wide selection of premier components and installing quality in every system they build. With over 20 years of experience in building quality computer systems and servers, Tribus’ customers expect and deserve nothing less than the best. Every system is created as if they were for ourselves. Quality and care are never compromised. What is a computer without a monitor? 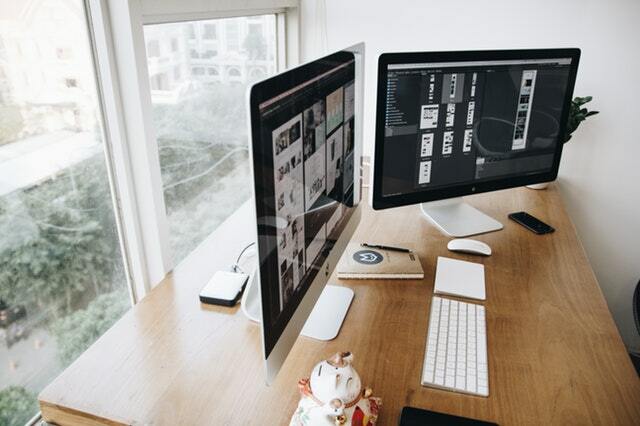 Today’s LCD and LED displays are available in many sizes and image qualities, and as part of managed IT service in Toronto, it’s recommended that you invest in leading brands such as Viewsonic, Samsung, NEC, and Acer to compliment your desktop. Printers and Office Multi-Function systems are also a must in your office environment. HP, Lexmark, Brother, Samsung, and Xerox are today’s leaders in these devices. Whether your printing device is connected directly to your computer or shared on your network, a local provider will have a solution that will fit all of your needs. Let Tribus Computers review your hardware requirements and recommend a solution that is within your budget without compromising quality or service. Today’s network is no longer as simple as connecting a few computers in the office together. The corporate network has become a critical component of your business operation. Many businesses now require management and staff to access the corporate network 24/7 whether in the office, from home, or from other remote locations. In addition, the possibility of unauthorized users accessing your network has become a real concern. At Tribus Computers, we understand these issues and can design and implement a network to ensure security, reliability, and availability. From VPNs (virtual private networks) to firewalls to wireless networking, Tribus can diagnose and optimize networks of any size or configuration, and are within close enough proximity to have the clearest idea of what you need and when. Your business is at great risk without a secure network. Managed IT service in Toronto involves ongoing support for your busy systems, whether on-site or via remote access. A good local provider should be experienced in dealing with complex multi-site and single site networks, effectively deploying new installations, managing migrations or upgrades, and providing problem resolution services. Many business users have that employee that thinks they know how to fix their complicated systems, but our experience and history tell us otherwise. Too many times we have been called out to fix a problem that has been complicated by an in-house “expert” attempting to save the company money, while instead costing much more than it would have if they only called a professional to do it right the first time. One of the benefits of going local is access to several suppliers of web/Internet hosting services, as well as website designers. If you’re creating a new presence or moving your current site to new or more cost-effective facilities, let them do the research for you while you focus on your clients’ needs. Various Toronto-area internet providers offer the latest in web hosting services, in both Windows and Linux Platforms. With 24/7 supervision and guaranteed 99% uptime, Tribus can provide you with a variety of options to suit your budgetary needs. Cloud backup solutions enable businesses to store their data and computer files online using a cloud backup provider, rather than storing the data locally on a physical disk such as a hard drive. When it comes to managing data, often companies will send data abroad. When you are working with secure client data, you want to ensure it is locally managed. At Tribus, we can also take care of all your cloud backup needs — no matter how big or how small they may be. As you have seen, working with a company that focuses on managed IT service in Toronto brings several benefits. They use only local technicians, servers, and networks, and if there is ever a problem that needs troubleshooting, they can not only gain remote access and fix the problem that way, but they can visit your office and troubleshoot there. If you find yourself focusing more on your business’ IT needs or trying to find Windows update management solutions than on your clients and the actual day-to-day operations of the business itself, it’s time to talk to the professionals at Tribus Computers.